Acupuncture That Works Cheshire › North West › Cheshire › Archive by Category "Prestbury"
Facial Revitalisation , Cosmetic Acupuncture or Facial Acupuncture – what’s the difference? Facial Revitalisation is often referred to these days as ‘Cosmetic Acupuncture’ or ‘Facial Acupuncture’ although the terms are not ones that Acupuncturists are generally allowed to advertise, hence the interchangeable use of all of these terms in many articles, publications and advertisements. So what exactly is involved in cosmetic acupuncture, or more accurately facial revitalisation? The process of facial revitalisation involves the insertion of needles around the facial area, much as seen in the photograph above and this helps to encourage blood flow around the face and to give it a generally more healthy appearance. It is important to note that unlike a permanent cosmetic surgery solution Facial Revitalisation using Acupuncture is a non-invasive treatment using ultra fine needles so it does not leave any marks or scarring. The results vary from individual to individual however in our experience we have found that after a single session there in usually a noticeable difference and after a course of treatments most patients generally have a noticeable glow about their face which people can see and often comment on. 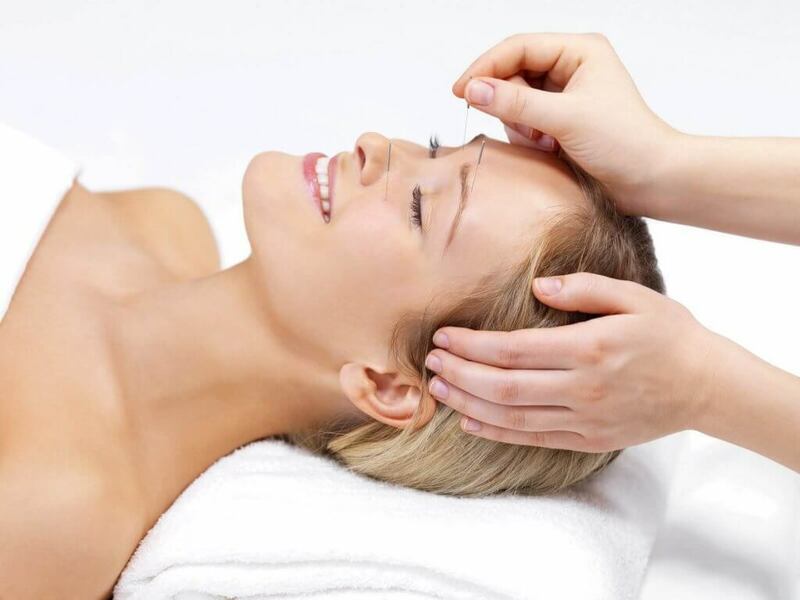 The process of facial revitalisation, often referred to as cosmetic acupuncture or facial acupuncture is one which does not take a lot of time and is ideal for subtly and gently helping your natural appearance without the permanence of surgery. Many people enjoy the treatment as it takes about 45 minutes to an hour for each session, during which you will experience the power of acupuncture through the insertion of ultra fine needles and you also receive a wonderful facial massage which helps to revitalise the skin and stimulates the blood flow around the facial regions. Many people are simply too busy these days to find time for treatments so at Acupuncture That Works we take a different approach to patient treatment. As well as offering the opportunity to be treated at our clinic in Northwich we also provide opportunities for people to be treated at our regular days in Wilmslow, Chester and Runcorn which can be ideal if you are working or shopping in these areas. But many of our patients prefer a more personal service so we also offer a local service for patients in Macclesfield, Wilmslow, Alderley Edge and Prestbury. These appointments are available on selected days during the week, at our clinic which is based inside the Natural Practices Clinic, 14 St Anne’s Parade, Wilmslow, SK9 1HG. To find out more about our availability or to make a booking please call us on 0800 051 76 88 or email to enquiries@acupuncturethatworks.co.uk and let us start the process of helping you feel rejuvenated. Acupuncture That Works Grows Again! Acupuncture That Works nominated for an award!